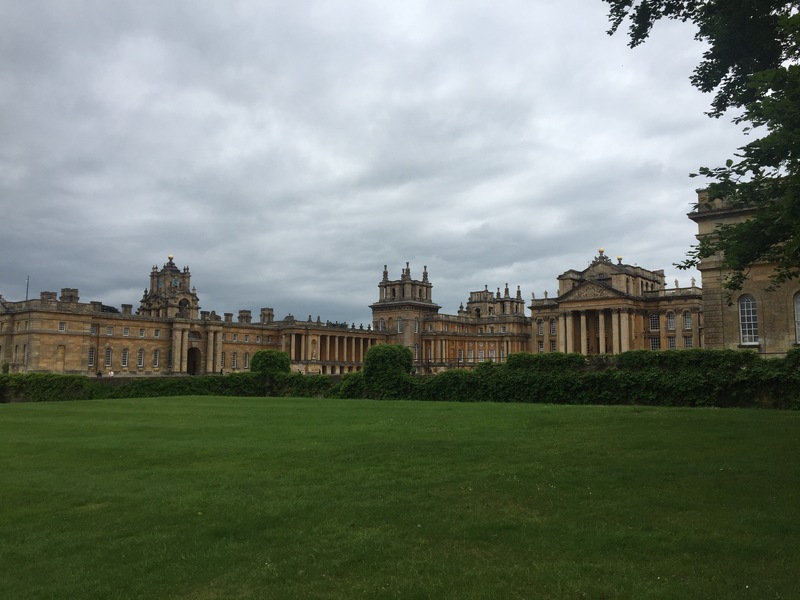 So yesterday I took advantage of the last of my post-nightshift days off to go on a family jolly to Blenheim Palace. It’s less than an hour from home, but surprisingly I’d never been before – perhaps because it’s not National Trust or English Heritage so you have to pay. It was fabulous – and I got my day ticket converted into a year pass (which doesn’t cost any extra to do) so I can go back again and see some of the bits we didn’t have time for on Tuesday. Any how, after a day out at a country house, it got me thinking about books which feature amazing houses. So here’s a few for you for Recommendsday. I know it’s totally the obvious choice, but I had to start with Brideshead Revisited by Evelyn Waugh. It’s not my favourite Waugh (that’s Vile Bodies) but I know I may be in the minority on that. I had a massive Waugh kick a couple of years ago and read a whole load of his novels back to back and for the most part they still really work. Brideshead tells of Charles Ryder’s infatuation with the Marchmains and their upper class and crazy world. The house is at the centre of it all as a character in and of itself. Well worth reading if you haven’t already. I definitely need to watch one or other of the TV/film versions soon. And read Vile Bodies too. Next, if you haven’t read any Roderick Alleyn books (and why not?) the first in the series, A Man Lay Dead, is set around a weekend party at a country house where one of the guests ends up dead. Again, it’s not my favourite of the Alleyns (that’s Artists in Crime) but it’s a really good start to the series and a really good example of a country house murder mystery. It feels like a while since I mentioned Rebecca on here, which is strange since the Du Maurier classic is one of my mum’s favourite books and I have a lovely Virago hardback copy which sits on my downstairs keeper shelf. It’s creepy and gothic and has one of the most famous opening lines in literature in “Last night I dreamt I went to Manderlay again”. If you haven’t read it, why not and if you have go and reread it. You won’t regret it*. Finally, if you want something funny, try PG Wodehouse’s Blandings series. The first one is Something Fresh, where you meet Lord Emsworth, his son Freddie and his secretary The Efficient Baxter and get a taste for the sort of high jinx that ensue. I think I like them better than the Jeeves and Wooster books, but again I think I’m in the minority there. I could go on – I haven’t even mentioned I Capture the Castle, Pride and Prejudice, Jane Eyre or The Secret Garden..
*Even if, spoiler alert, you never trust a housekeeper again.